Screenings at 6pm, 8pm & 10pm every night at Babylon and cost 8 euros per show. All films are in English, German or in original version with English subtitles. The 8th Berlin Independent Film Festival runs from 9-15 February 2017. BIFF remains at the epicentre for low-budget filmmaking in Europe. While the Berlin Independent Film Festival is not connected with the Berlinale, BIFF runs at the same time, not far from the European Film Market and draws on all the film industry power gathered in Berlin for those events. All Berlin Independent Film Festival screenings take place at the Babylon in Berlin Mitte mid-February and cost 8,- euro per screening. Fantastic premieres of feature-length and innovative short films from a wide spectrum of genres are exhibited over three screenings per evening. 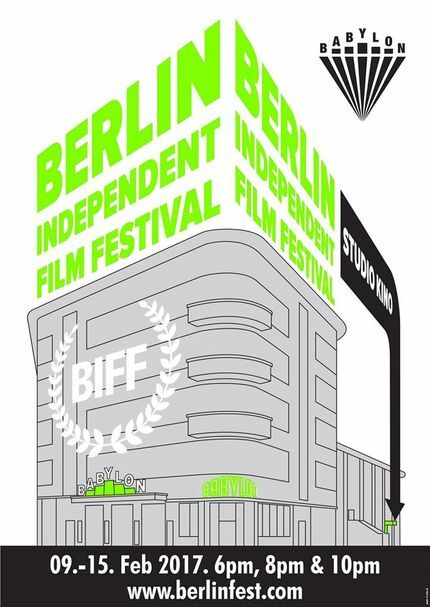 BIFF takes place at the Babylon Cinema in downtown Berlin. As well as a offering plenty of screening opportunities for indie films, BIFF is developing into a crucial business hub for the low-budget film industry. BIFF hosts workshops and networking social events where attending filmmakers help each other out with marketing advice and EFM tips. As well as a offering plenty of screening opportunities for indie films, BIFF is developing into a crucial business hub for the low-budget film industry. Check out last festival's quality multi-category programme, always in English and German or with English subtitles to appeal to the broadest international audience of industry types, foreign visitors and cosmopolitan Berliners. Actress Claudine Biswas-MacKenzie hosts this event. Opening Night at Griffin Bar, Invalidenstr. 151, Berlin-Mitte on February 8th.